We’re a little past the midway mark of the Quebec Invitational now, so I figured it was high time to say a few words about how the tournament is going. I arrived in Montreal about a week ago, to get in some sightseeing and adjust to the time difference. The tournament began on Friday the 19th, and it continues with one game a day every day until the 27th. The games begin at 5:30 PM – rather late in the day, I’m not totally sure why that is, as even the “working” players are not working during the event. Maybe it’s for the spectators? The last round on the 27th, though, begins at 1 PM. After some trouble with the DGT boards the first few days, it looks like most of them are up and running now, so the games can be tracked live. 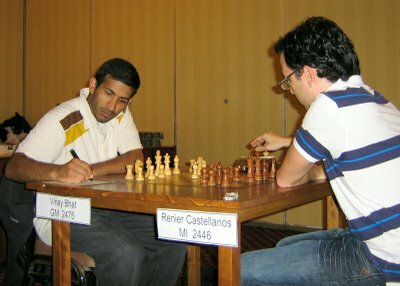 The tournament is a 10-player round-robin with an average FIDE rating of 2411 (category 7). It was originally supposed to be a stronger event, but a couple late withdrawals meant the category went down a little bit. As it is, for most of the players, it’s stiff competition. After 5 rounds, GM Mark Bluvshtein is leading with a perfect 5-for-5. GM Anton Kovalyov, the top seed, was held to a draw in the 5th round, so he “only” has 4.5/5. In 3rd place you can find me with 3 points. My tournament has been a little up and down – in the first couple games, I struggled to get any real winning chances against FM Lefong Hua and IM Renier Castellanos. 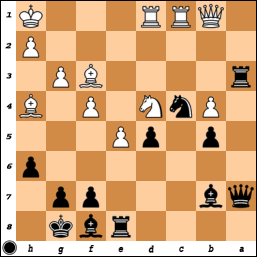 In the 3rd round, I was out-prepared by IM Thomas Roussel-Roozmon and emerged from the opening with a worse position. 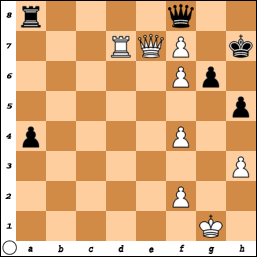 However, the position remained complicated, and when he lost his way, I managed to take advantage and win the game. 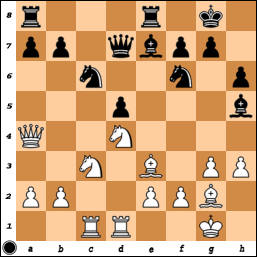 But then, the following day, as white against GM Bator Sambuev, I managed to lose a long endgame that I really shouldn’t have lost. 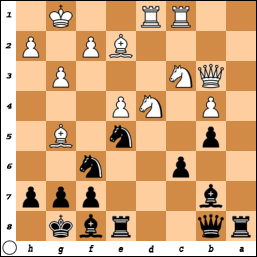 Yesterday, I bounced back with a win as black against FM Sylvain Barbeau. There are money prizes in this event for the top 3 finishers, but one of the real special things about this event is that the top 4 finishers qualify for the Tournoi International de Montreal beginning at the end of August. 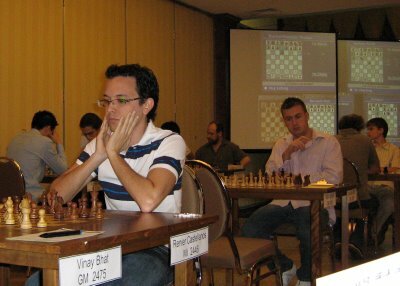 The lineup for that event is filled with very strong players – the average rating of the 7 confirmed players so far is 2670 FIDE or category 17! So with four rounds to go, I’m in decent position to qualify. I still have to play the two highest and two lowest rated players though – black against GMs Kovalyov and Bluvshtein and white against FM Francois Leveille and NM Ling Feng Ye (who qualified by winning an open tournament the weekend before the round-robin began). After the tournament is over, I’ll try and post some games or fragments.